Do you love the smells of fresh flowers? Do you have a plan to start your own floral business and wish to sell flowers creatively? But worried on how to market your flower boutique, don’t be! You can use our professionally designed Tri Fold Brochure to promote your flower business.Brochures are perfect tool to market your flower boutique. It has a great impact to showcase your business in a right way and possess high visibility to improve the brand value of your business. 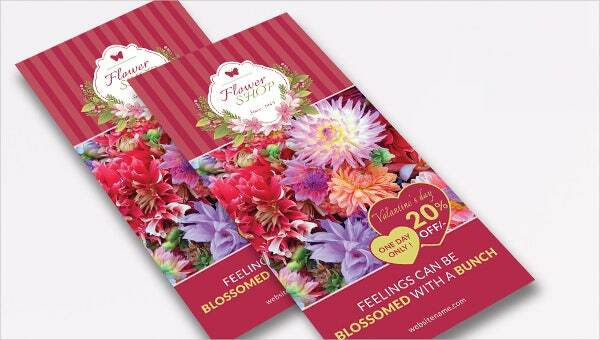 We have crafted simple and elegant tri fold flower brochures to suit your business needs. You can download brochures from our website, make changes as per your requirement and print a hard copy. And you can even distribute brochures near your surroundings, to friends, family members, relatives and in crowded places like local malls, shopping centres etc.